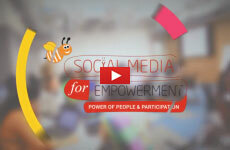 "You are the leaders of social media. 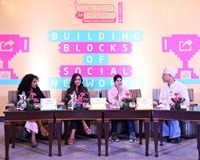 People need to know about you and the work you’re doing,” said Osama Manzar, Founder-Director of Digital Empowerment Foundation, addressing the Finalists and other guests at the 5th annual Social Media for Empowerment Awards (SM4E) on May 25, 2018,at Eros Hotel in New Delhi. 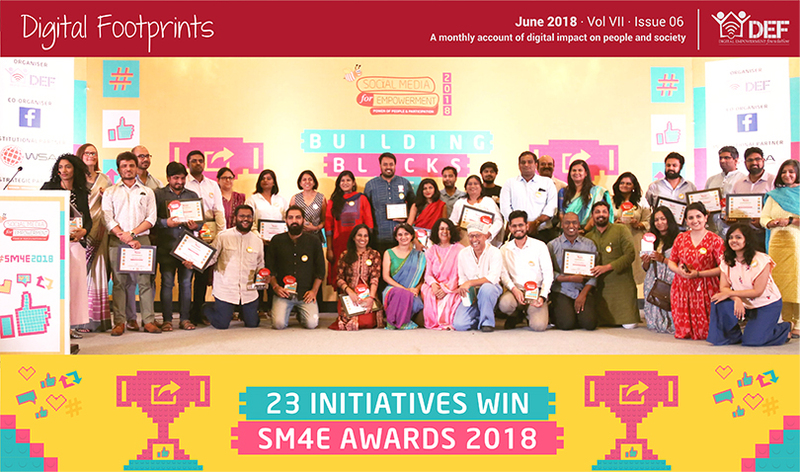 On this occasion, 23 initiatives were announced winners of the SM4E Awards 2018. A complete list of winners is available here. This year's awards book too, with details of 60 Finalists, is now available online. 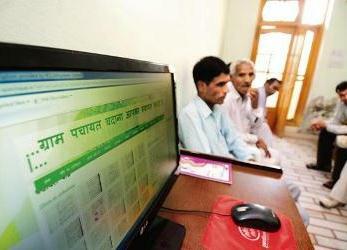 Has BharatNet fulfilled its end task? DEF is glad to announce the 9th edition of the mBillionth Awards South Asia 2018. Initiated by DEF under the framework of World Summit Awards (WSA) and UN World Summit on the Information Society (WSIS) in 2010, mBillionth Awards seek to promote and encourage mobile innovations, applications and services for development and empowerment across 10 core categories from eight South Asian countries. 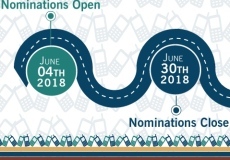 The nominations are open until June 30, following which the Grand Jury will decide the winners of July 27. mBillionth Awards Gala 2018 will be held in New Delhi on August 31. You can nominate your initiative here. 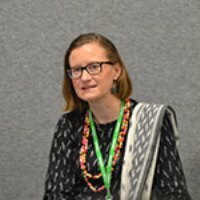 Ocean in a Drop is an Indo-Australian collaboration between DEF and Andrew Garton’s Secession Films, showcasing tales of empowerment from rural India. The film peers through the lens of DEF’s work, reaching the poorest communities with digital literacy and broadband technologies, yielding entirely unexpected outcomes. Ocean in a Drop was telecast on Doordarshan on May 26 under its in-gratia category. 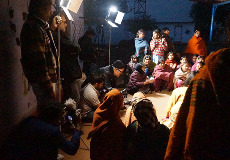 The channel has a weekly viewership of over 150 million, and DEF hopes that this large viewership would have allowed the masses to see how the Internet is transforming rural communities in India. At Community Information Resource Centre (CIRC) Jauhar Academy in Jharjhand, a drawing competition was organised with 60 participants in the classroom where local children enthusiastically participated. International Mother’s Day, too, was celebrated with much enthusiasm on May 13 at the centre. 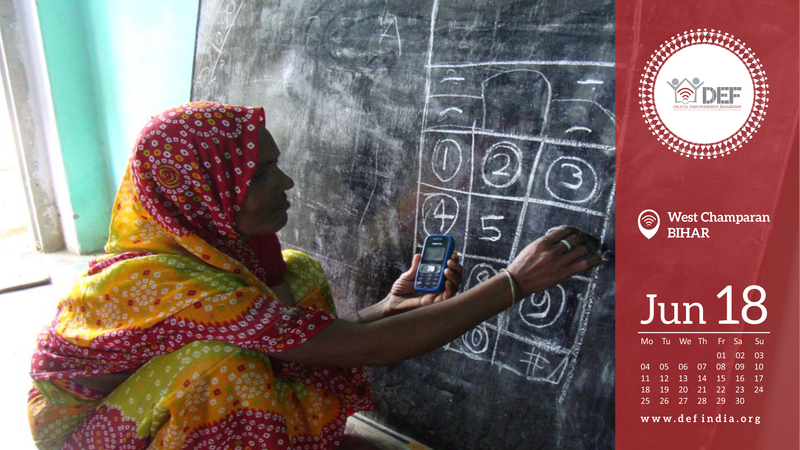 Mothers in the community were appreciated for allowing their children to be digitally literate. Meanwhile, a summer camp was organised between May 21 and 25, various activities were organised for the purpose of education, entertainment, craft, health, hygiene and environment protection, among others. K. Murugan, a DigiSupport coordinator in Ariyakoshti, Tamil Nadu, works for amobile banking awareness. While he found it easy to spread awareness because people were willing to listen to him, it was difficult to transform them into mobile banking users. However, Murugun is a quick learner. He took people’s feedback and used it to change his methodology. One particular beneficiary of Murugun is Kasinathan, a farmer who was least interested in digital literacy until Murugan told him about various agriculture loans that can be availed through mobile banking. Today, Kasinathan has learned to use mobile banking apps and invest money. Anjali Bhardwaj, an Internet Saathi from Guna district in Madhya Pradesh, is inspired by her grandmother, the sarpanch of the village. 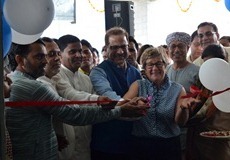 At present, Anjali is pursuing her Bachelors in Hotel Management, however she gladly spends her free time to work with the community and for its people. Anjali holds frequent interactions with women in community spaces and in their homes to introduce them to the opportunities that the Internet has to offer. She, especially, focuses on health-related information for women. She feels a healthy woman is a sign of a healthy household and a healthy community. 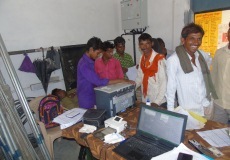 Community Information Resource Centre (CIRC) Nichlagarh in Rajasthan organised two camps last month to help community members organise their documents—or get incorrect information on their documents rectified—to apply for government schemes and entitlements. The centre staff and DEF’s local partner Doosra Dashak helped the community members apply for 14 Bhamashah cards, 86 caste certificates, 79 voter cards, two ration cards and 35 food insurance forms. 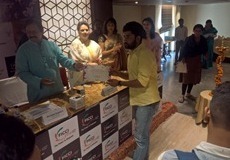 CIRCs are community infrastructure hubs that provide access to digital tools, digital literacy and digital services..
On May 25, DigiKargha exhibited its collection from nine artisan clusters at Eros Hotel in New Delhi. 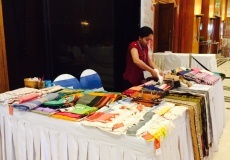 DigiKargha is a Section 8 company founded by DEF to support and sustain the efforts of the latter’s Digital Cluster Development Programme, which is implemented across eight handloom clusters and one handicraft cluster in India. Meanwhile, weavers in three clusters are busy preparing for the upcoming Laskme Fashion Week. Renowned designer Naushad Ali is working with cotton weavers in Musiri while clothing brand Indigene Craft is working with silk and cotton weavers in Nuapatna and Barpali in Odisha. 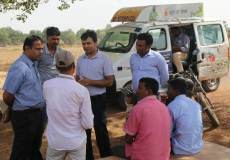 A delegation from the European Union, including Senior Programme Manager Subramanian Pattabiraman, paid a two-day visit to Soochna Seva Kendra in Ranchi, Jharkhand, on May 17-18. The objective of the visit was to review the local activities and explore the possibilities of sustainability of the programme. The delegation visited the local institutes and beneficiaries, and realised the need to diversify services to generate revenue through a well-planned business model. The delegate was particularly pleased with the strong ties that Soochna Sevaks have built with the local government and administrative bodies. On May 2, a capacity building training workshop was conducted by the SoochnaSeva team for 25 housewives-turned-SoochnaPreneurs. These women belonged to different blocks of Rajasthan, namely Ramgarh, Laxmangarh, Umrain and Kishangarh in Alwar district. 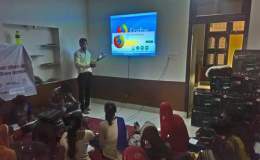 The prime objective of the training was to help these SoochnaPreneurs understand the vision and mission of the programme. Different activities were undertaken to engage and educate the women SoochnaPreneurs in documenting case stories, mantaining a receord of revenue, operating MeraApp and carrying out surveys, among other things. DEF is gearing up to present their cost-benefit analysis of Aadhaar and BharatNet project, commissioned by Copenhagen Consensus. It analyses the implications of using Aadhaar to plug leakages in MNREGA and the benefits that BharatNet will bring upon completion. 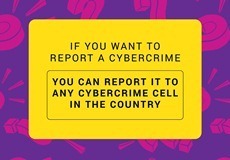 Meanwhile, DEF and OLX’s online safety initiative WebAware have launched Women Act Against Trolls, a web resource to counter online abuses and cyber bullying. 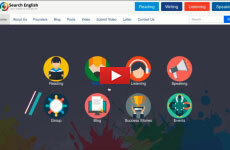 Users can visit projectwaat.org to find useful information such as a cyber-cell directory, a draft cybercrime complaint letter, and a digital security manual to keep users safe online. Digital Empowerment Foundation aims to connect unreached and underserved communities of India to bring them out of digital darkness and empower them with information access through last mile connectivity, digital literacy and digital interventions. Established in 2002, with the motto to ‘Inform, Communicate and Empower,’ DEF aims to find sustainable ICT solutions to overcome information poverty in rural locations of India.